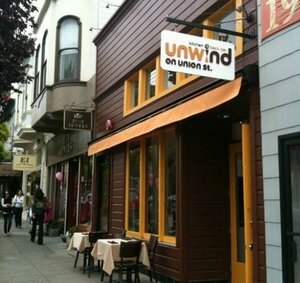 The former Unwind on Union St. Photo via Yelp. Gold Star Bar. Photo by Michael David Rose via UrbanDaddy. ABC license activity reveals where the ~GOLD DUST LOUNGE~ is relocating to in Fisherman’s Wharf: 165 Jefferson Street (a comment on Facebook clarifies further that it’s “in the Pacific Fair Shops a few doors down from the Rainforest Café and the Wax Museum”). Time will tell when they can reopen with everything they salvaged from the original location and when the liquor license transfer is complete; stand by. 165 Jefferson St. at Taylor. Now open in Cow Hollow is ~LIGHTNING TAVERN~, the latest project from the Tonic/Bullitt/Mayhem/Rebel crew—they opened in the former Unwind/4 Corners space. The interior by Michael Brennan reportedly looks like “Frankenstein’s lab, with funky light fixtures,” according to partner Duncan Ley. Eater mentions an opening menu of “tater tots, fries, burgers, cocktails, and beers. Once everything rolls out, Ley says they’ll do East Coast-style wings.” Food will be served until 1:30am, and there are cocktails by the pitcher, so watch out. Opening hours for now are Mon-Thu at 3pm or 4pm, Fri at 11am, and Sat-Sun at 10am, although they will be open at noon for the Fourth of July if you want to go get your drink on. 1875 Union St. at Laguna. I also asked Ley about the license transfer posted at ~GOLD STAR BAR~, which just opened a few months ago but is now the latest addition to their family of bars. He said the owner of Gold Star decided to take an opportunity to run a company and sell the bar. Ley said it’s going to be a couple of months before they figure out the name and concept and get it ready to open. 1548 California St. at Polk. For those of you more interested in European wine rivalries than soccer ones, head to the Mission on Friday July 13th, when ~18 REASONS~ will be hosting the Skrewcap Iberian Summer Wine Tasting, featuring a showdown between Portuguese and Spanish wines. Really, though, it’s less of a competition and more of an opportunity to taste 24 delicious wines made from hard-to-find grape varieties, including baga, hondarribi zuri, and negramoll. Iberian importers José Pastor Selections and Vinos Unico will be pouring bottlings from both countries, and the importers themselves will be on hand to guide the tasting and answer any questions. Tickets are $10 for 18 Reasons members, and $15 for the general public. Friday July 13th, 6pm-8pm. 3674 18th St. at Dolores. 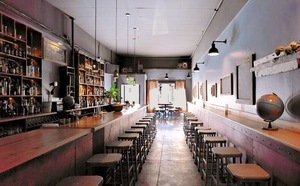 Over in North Beach, owner Dario Zucconi (of Tommaso’s) has sold his wine bar, ~THE VIN CLUB~, to new owners (Ramsey Hanna, Carlos Alejo, and Juan Rodriguez), who are going to turn it into ~ANTOLOGIA~. The wine bar will be focused on Latin American wines, and some California wines will also be poured. The space is being renovated right now, with a soft opening slated for Saturday July 7th and a grand opening on Friday the 13th (dun dun DUN!). Hours will be Mon-Fri 4pm-1am, Sat-Sun 11am-1pm. 515 Broadway at Kearny. Looking to taste some local wines without heading out of town? 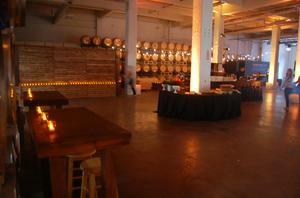 ~DOGPATCH WINEWORKS~ has opened an urban tasting room in a 1940s warehouse in its namesake hood. The tasting room features two- and five-ounce pours from a variety of boutique wineries including Qualia Wines and Carlotta Cellars. Sippers can also purchase full-size glasses and bottles from a rotating list of offerings. Groups of six or more can make reservations for personalized flights as well. For those interested in a more long-term wine project, Dogpatch WineWorks also offers a custom bottling program and some pretty fun programming, including a “Crush Camp Intensive.” Open Thu-Fri 4pm-8pm, Sat 12pm-7pm, Sun 12pm-5pm. 2455 3rd St. at 22nd St., 415-525-4440.